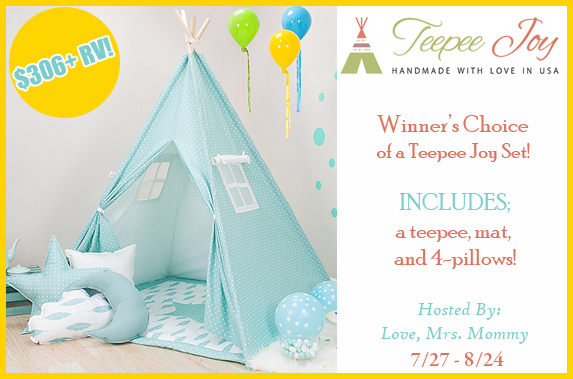 Love, Mrs. Mommy’s Teepee Joy Set Giveaway – 18+, US ONLY – Ends 08/24 – Win! Win! Win! Warm welcomes to Love, Mrs. Mommy, She is the host of this giveaway. This is our first event with her. We truly appreciate her efforts. Win! Win! Win! is in no way responsible for the prize. We are only helping to promote this giveaway. Thanks for participating and good luck! 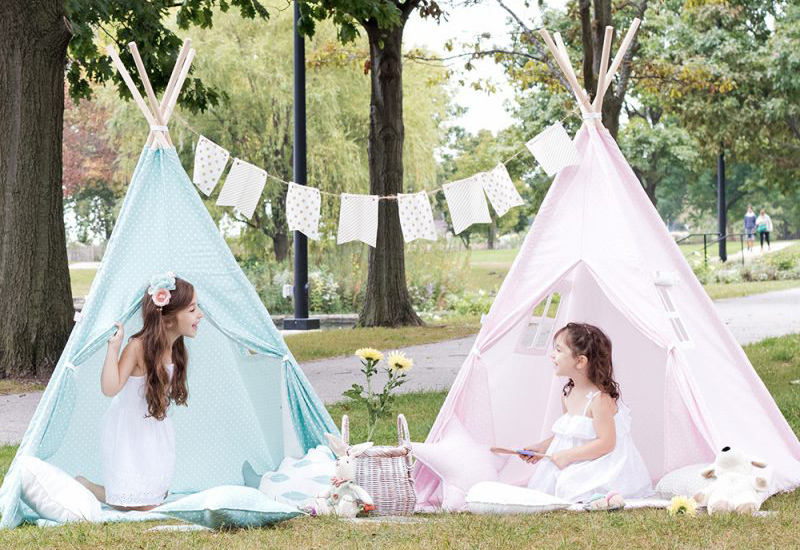 A Pre-Designed Teepee Joy set of your choice! Includes teepee, mat, and 4-pillow set! A $306 – $316 RV Giveaway! Be sure to check out Love, Mrs. Mommy’s full review of Teepee Joy! Fun pictures included! Exclusive coupon code for Love, Mrs. Mommy readers for 10% off your purchase! Just use “LMM10OFF” at checkout! Happy shopping!